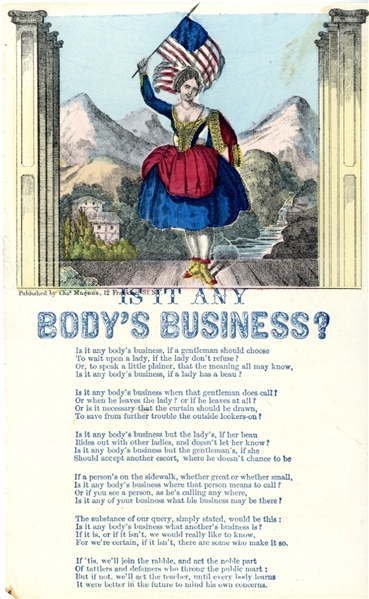 Hand-colored songsheet “IS IT ANY BODY’S BUSINESS?” 1pp. octavo, published by Charles Magnus. Fine condition.